Call 414-435-2888 or TEXT US with questions! Can I sell my rental property fast while tenants are still living in it? This is probably the first question agents get asked. You cannot force tenants to vacate a property during the term of a lease. Here, again, a lot depends on the type of lease. For example, if tenants are renting on a month-to-month basis, the landlord cannot terminate without following due procedures, i.e., mailing/delivering tenants a letter requesting them to vacate in 30 days, specifying the date on which the tenancy terminates. There are a few options for homeowners who have signed a fixed-term lease, but things should be handled delicately to ensure a smooth sale process. You could either wait until the lease expires or offer to sell the tenants the property. Selling a house with an active lease could narrow down your target market, but fast homebuyers like us will be more than happy to buy it. Some buyers prefer to negotiate a settlement with tenants. You cannot arbitrarily terminate a lease unless there are specific reasons to do so. These reasons could include: tenants failing to pay rent, violations to clauses in the agreement, or tenants causing damage to the property. Violations of lease agreements could also include subleasing, causing a nuisance, illegal activities, etc. As was said earlier, fast homebuyers are the perfect people to buy a house with an active lease. Unlike in a traditional sale, we won’t bother tenants with multiple inspections. You do not have to worry about repairs because we buy the house as is. The entire process will be completed in less than two weeks. Closing is stress-free and paid for by us. 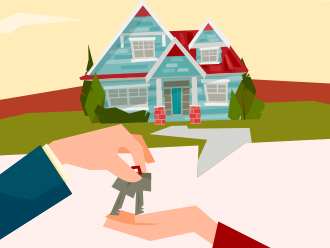 Are you planning to sell a house with a tenant inside? We can help! Contact the Metro Milwaukee Home Buyer team now! We will contact you as soon as possible to find out how we can meet your needs. We are proudly serving Milwaukee and surrounding areas. Contact us today!